The natural choice for all hair types, this intensely moisturising, detangling formula produces high-gloss shine and manageability. This wonderful Ultra-Sleek collection is brought to us by Giovanni Cosmetics, a family-owned company committed to creating only the purest biodegradable formulations, which are never tested on animals. With Brazilian Phyto-Keratin and Moroccan Argan Oil to banish frizz and create smoothness and shine, this natural conditioner produces sleek results time after time. 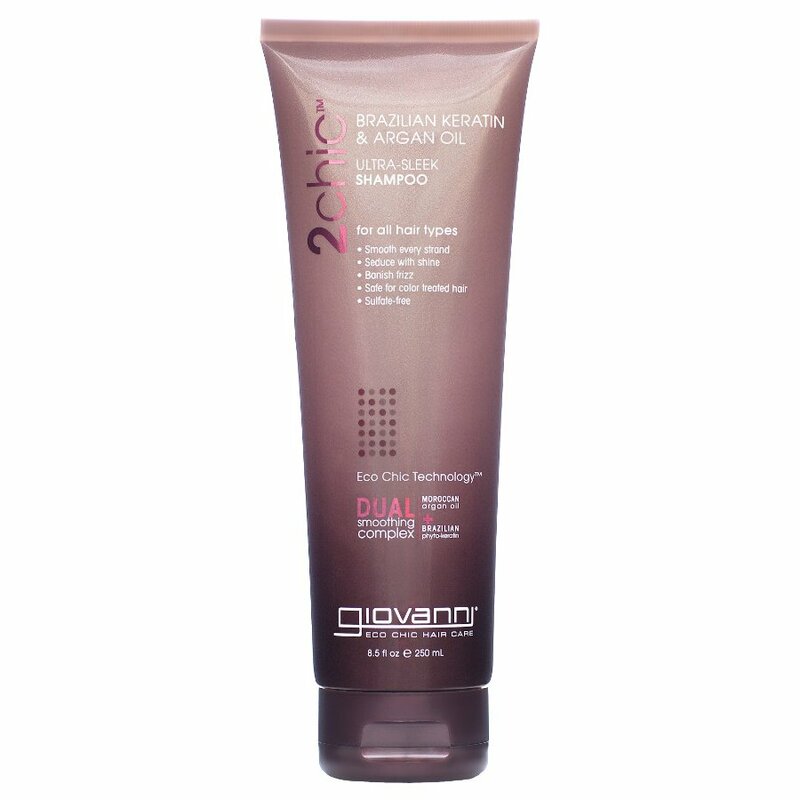 The Giovanni Ultra-Sleek Conditioner - 250ml product ethics are indicated below. To learn more about these product ethics and to see related products, follow the links below. I'd been looking for a quality, salon-style eco-conditioner for ages, and finally I've found one. Conditioner doesn't just wash out like with some others and leaves hair feeling nourished. Thoroughly recommend. Excellent - I've been looking for a conditioner that smooths my frizz-prone hair without weighing it down since my previous favourite brand was discontinued, and I think I've finally found it! The thicker formula means a little goes as long way and my hair feels really soft and looks really shiny. It smells great too. I had begun to think my long, dry hair needed cutting shorter until bought this shampoo & conditioner. It's smoothed, moisturised & added weight & some silkiness right to the ends. Would happily recommend. There are currently no questions to display about Giovanni Ultra-Sleek Conditioner - 250ml.